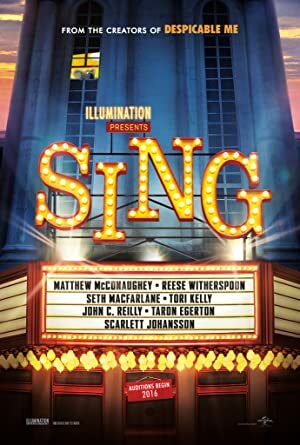 Sing (2016) – What's New on Netflix Canada Today! An all-star vocal cast includes Matthew McConaughey, Reese Witherspoon, Seth MacFarlane, Scarlett Johansson, Taron Egerton and More… In a town with no humans, just animals, a koala named Buster Moon realizes he will soon lose his theater if he cannot turn his luck around. He comes up with a plan to host a singing competition, where the winner will receive $100,000. Will this be enough to return his theater to glory? An optimistic koala tries to save his theater with a singing contest featuring a timid elephant, a teenage gorilla, an overworked sow and more.